How do we maintain a strong faith and yet remain open to the insights and friendship of those who profess a faith different than our own. For many Christians, especially those who have Evangelical inclinations, there has been a strong drive toward an exclusiveness that imagines only those who share that faith to experience the blessings of God. On the other hand, there are those who are pluralist or inclusivist in inclination, but who struggle to hold strongly to their own faith -- lest they offend. Brian McLaren has attempted to keep these two points of tension in balance -- a strong faith and an open spirit. Bruce Epperly, is one who also seeks to keep these in balance, and in this third and final engagement with Brian's recently published book, Why Did Jesus, Moses, the Buddha, and Mohammed Cross the Road? : Christian Identity in a Multi-Faith World (Jericho Books, 2012), he invites us to consider creative ways to bring together a strong faith with that open spirit that allows us to grow in stature before God. Won't you join in the conversation? 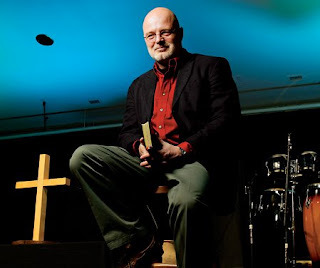 Brian McLaren’s quest is to join a robust commitment to Christian faith with an equally robust commitment to building positive relationships with persons of other faith traditions. He asserts that Jesus would affirm the value of the teachings of Gautama, Mohammed, Moses, and by implication Lao Tzu (Taoism), the Hindu sages, Native American spiritualities, and the spirituality of other indigenous religions. God’s wisdom is widespread and not reserved to a select few. In fact, it may even include the insights of self-described spiritual but not religious persons and earth-centered pagans. One of my favorite lines from the gospels comes at the end of the account of twelve-years-old Jesus’ dialogue with the Temple’s religious teachers: “Jesus increased in wisdom and in stature, and in divine and human favor.” (Luke 2:51) Some translations substitute “years” for “stature” but I believe this misses the point. Growing older doesn’t always mean growing wiser. Oftentimes our prejudices and inflexibility only increases with age, although I must affirm as I find myself in my sixth decade, I have found that the many elders are more open, hospitable, spirit-centered, and creative at eighty than they were at twenty. By size I mean the stature of [your] soul, the range and depth of [your] love, [your] capacity for relationships. I mean the volume of life you can take into your being and still maintain your integrity and individuality, the intensity and variety of outlook you can entertain in the unity of your being without feeling defensive or insecure. I mean the strength of your spirit to encourage others to become freer in the development of their diversity and uniqueness. I mean the power to sustain more complex and enriching tensions. I mean the magnanimity of concern to provide conditions that enable others to increase in stature. People of stature have “large souls,” they are “mahatmas” who embrace the world in its diversity and wonder. This was surely Jesus’ experience: Jesus embraced life in its fullness; everyone was welcome in God’s realm – Roman centurions, women with gynecological ailments, men and women of dubious sexual lifestyles, unclean lepers, and Samaritan outsiders. Jesus affirmed a Samaritan as a model for God’s care for the lost and vulnerable and allowed a Syro-Phoenician woman to educate him on insiders and outsiders in God’s healing realm. Despite her critique of Jesus’ apparent racism, Jesus reaches out to her, healing her daughter at a distance. Stature is what we need most in today’s multi-faith world. We need to recognize that religious traditions are living organisms, and that they are most alive when they grow in the context of their environments. A lively faith is innovative, creative, open to transformation, and willing to expand its vision of reality as it encounters the insights of science, literature, culture, and other faith traditions. Once Christians believed the earth was flat; now adventurous Christians explore a wondrous universe whose age and number of galaxies is beyond our imagination, at least 13.7 billion years and 125 billion galaxies, respectively. Once a sizeable number of Christians believed the earth was less than ten thousand years old; now most educated Christians see God’s presence in the gradual upward movement of evolution. Once many Christians assumed some variation of “outside the church – or beyond the elect – there is no salvation”; now a growing number of Christians appreciate the wisdom of the Dalai Lama and Native American teachers, and have benefited from practicing Tai Chi and yoga or reiki healing touch. I am grateful for Brian McLaren’s creative and courageous book. Many of his former followers will surely denounce it in the same spirit that they denounced Rob Bell’s Love Wins. Yet, I believe with McLaren that living faith is growing faith and Christians grow in stature by embracing otherness while making a commitment to grow theologically, spiritually, and ethically in their quest to be God’s partners in healing persons and the planet.